“At the age of 10, I fell off of the monkey bars in school. I think I fainted because all I remember was waking up and seeing a friend looking down on me.” Then, when Dr. Kowalczuk told his family what happened, his brother took him to the chiropractor he was seeing. 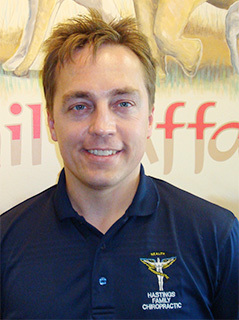 Dr. Kowalczuk went to Life University in Georgia in 1993 and graduated in September 1997. 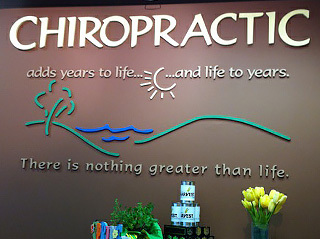 Chiropractic is a natural healing art and a strategy for achieving wellness… it goes so far beyond pain relief. It’s a means to help you discover health so you can live your life to your fullest potential. Eat. Sleep. And Chiropractic Care. “I am a family man to the core.” Dr. Kowalczuk is Polish and Ukranian and his wife Joanna is Italian. They were married in 2000 and have two children. Their son Daniel loves soccer and their daughter Katerina is fond of dance and the arts.